Dawn Jones-Cooper bought a 3.5 hectare vineyard in 2005. It’s in Entre-Deux-Mer, about 40 minutes east of Bordeaux. Right away she learned the extent of neglect and disease in the vineyard. She tore it out, planted barley and applied comfrey. She is one of dozens in Bordeaux practicing Biodynamic agriculture. In fact, producers in wine regions around the world are questioning their agricultural and winemaking practices. Some have deep and historic organic roots but ponder aspects of their operation. And due to market pressure, others are changing their methods. Finally some acknowledge there is a gentler way that nourishes the soil, vines, and earth. This is the category that fits Jones-Cooper at her winery Château de Monfaucon. Dawn’s a viticulture and oenology graduate from Plumpton College in East Sussex, England who chose biodynamic research projects during school. This straightforward and funny former hairdresser shared with me “it was the ethos of the whole thing” that hooked her on this alternative form of agriculture. It’s a philosophy. It’s about working with the soil and vines. If the soil is healthy, a vines resistant to sickness increases and it is healthier. The biodiversity of the area begins to flourish. The magnetic force of the earth and the cosmic force of the sun are involved. Several dynamics come into play, ranging from burying a cow’s horn full of manure at the autumn equinox and digging it up in the spring to bottling wine in the cellar during a full moon. 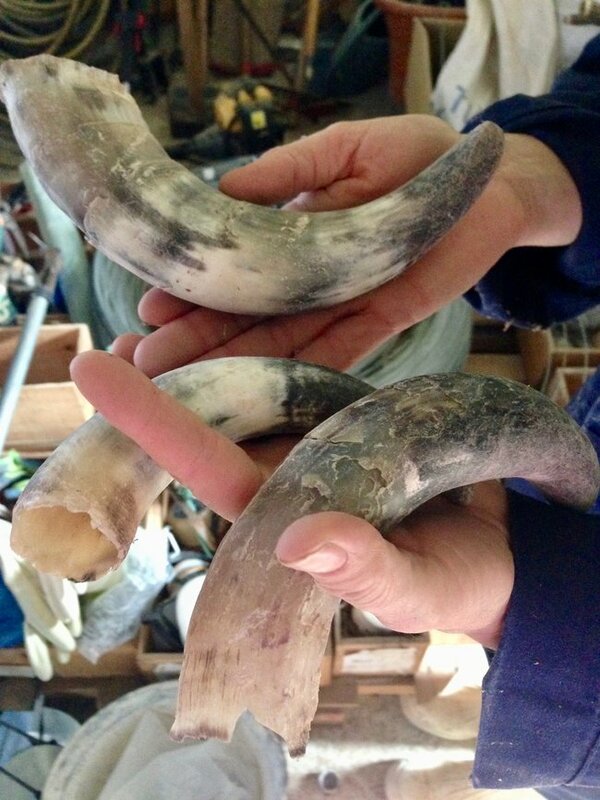 As part of the biodynamic process, cow horns are packed with a manure and herb preparation then buried in the vineyard. Chemical and artificial fertilizers, herbicides, pesticides, growth hormones, and genetically-modified organisms (GMOs) are not used in biodynamic agriculture. Only certain organic preparations help to battle insects and/or plant diseases. The soil is alive, it’s living matter with billions of organisms so why mess that up?!? Biodynamic viticulture is practiced in wine regions everywhere including those throughout France. Some aspects might sound a bit bizarre, yes. Regardless, those practicing it, and also those drinking it notice biodynamics makes a ‘real and positive’ difference in the taste of the wine. 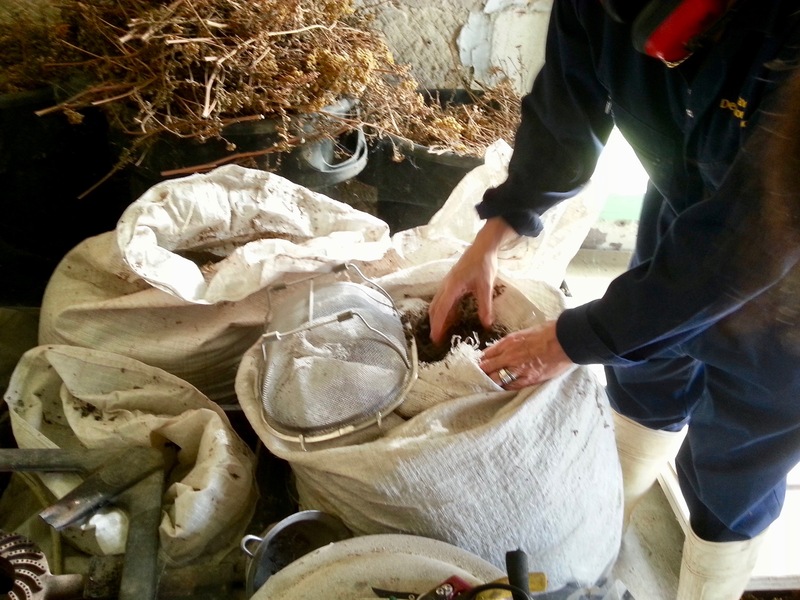 Bags of herbs grown and dried by Monfaucon Estate. From these she makes preparations for use in the vineyard. I first visited Jones-Cooper after a huge rainstorm yet happily trudged the grounds to learn about biodynamic principles used at her Château Monfaucon. Listening to Dawn (on the right) explain her processes. One is laying a mixture of cover crops down the middle of rows to attract beneficial insects. Her mixture includes lucerne, white clover, yellow clover, red clover, caraway seeds, poppy seeds, tansy, agri lupins, dill, rye grass, buckwheat, and a variety of herbs. You can see the baby cover crops between rows in the above photo. Ladybugs are a common sight in biodynamic vineyards and a top beneficial insect. They help control soft-bodied pests in vineyards and gardens, and love hanging out at Château de Monfaucon! Another is use of Botanical infusions. Each one provides a particular attribute to the soil, plant, and surroundings. Dawn makes infusion teas from the plants she grows onsite: Tansy, Stinging nettle, Wormwood, Grand Chamomile, Comfrey, Yarrow, and Common Horsetail. She utilizes these in her vineyards spraying as necessary to combat unwanted predators. Compost is made too, a blend of 40% carbon waste, 40% green waste, and 20% other organic scrap matter. 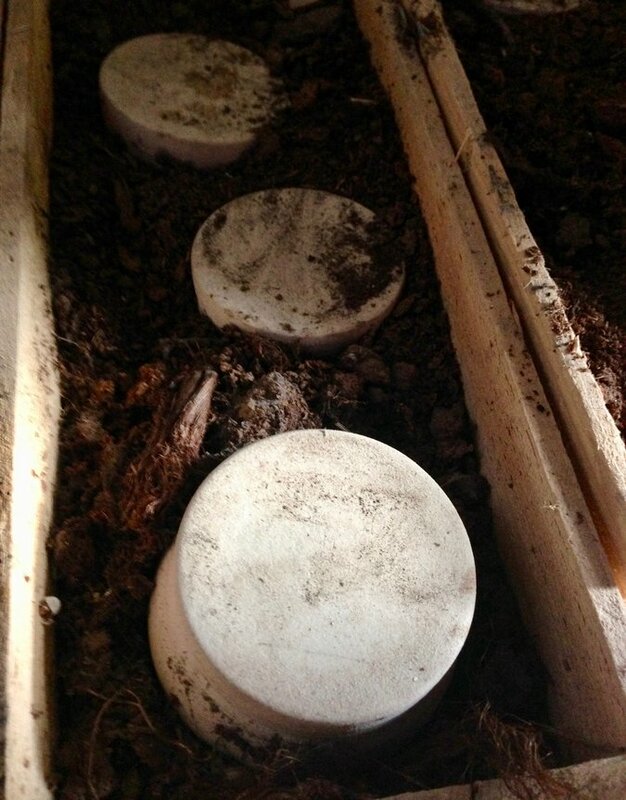 These preparations are stored in non-glazed earthenware pots surrounded in peat to stop the radio-active waves and electric interferences from penetrating the pots. Earthenware pots at Château de Monfaucon. Biodynamic principles are followed in the winery too. One is pressing just enough to release the free run juice. After that wild yeasts (those on the grape skins and ambient in the winery) take over to start fermentation. 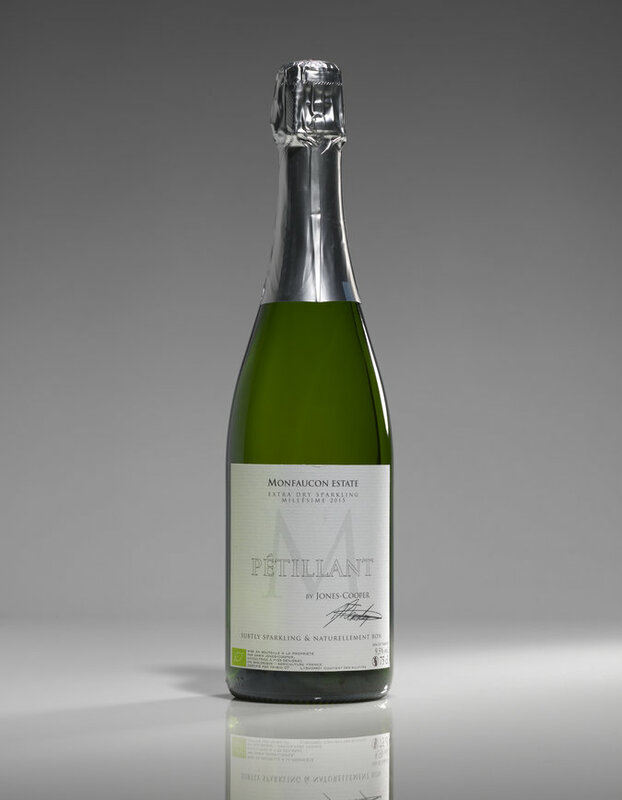 Utilizing existing yeasts adds a complexity of flavors to her fruit-driven range of wines. Biodynamic viticulture and winemaking continue to evolve. People try new things and have new ideas to share. Jones-Cooper stays on top of these as much as her overflowing plate permits. 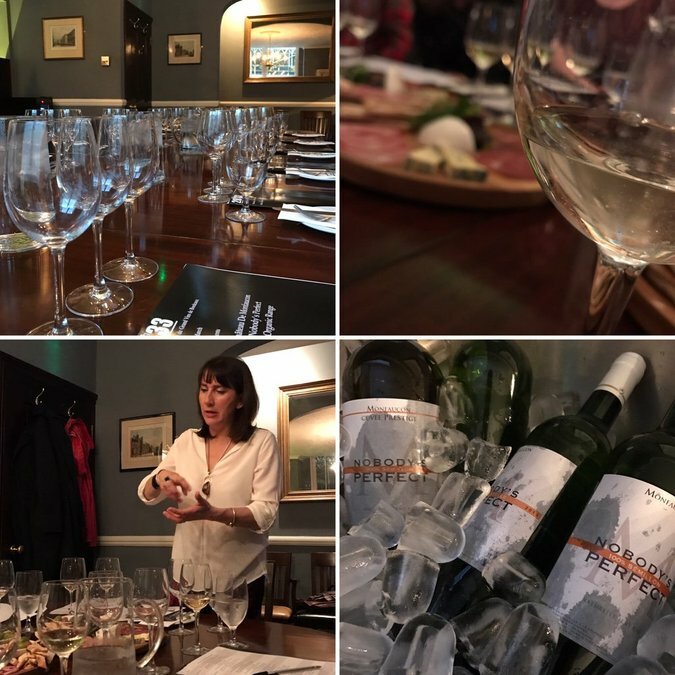 “I do find our terroir and end product has a remarkable difference to the average vineyard.” Dawn Jones-Cooper on how she feels about using biodynamic principles. A winemaker friend tried her first available wine, a 2013 Sauvignon Blanc, Semillion, Muscadelle blend. He told her it tasted like “flat champagne” (in a very positive way). This is her main blend. Additionally, she produces 100% varietal wines from each of the above grapes. And a 100% Chardonnay, not common in Bordeaux. These are all under her brand Nobody’s Perfect. Monfaucon is a white wine only Château, a decision made from the start and one not often found in Bordeaux. Current production is enough juice for 3,000 cases. While she waits for sales to grow, a portion of her wine is sold to other organic producers in bulk. At present she has eight wines plus one sparkler. The Nobody’s Perfect 2014 Muscadelle received a Silver award at the Decanter World Wine Awards 2016. Not Gold, but then, nobody’s perfect. The wine retails for $25 (22€). Jones-Cooper’s produces sparkling wine. And her first was released early last year. It’s sold out! Made via the traditional Champagne method, Jones-Cooper completes all steps up to the point of disgorgement in her winery. Continued popularity and growing production have her thinking to the future. She may invest in the remaining equipment to complete disgorgement in-house as well. The 2016 vintage is scheduled for release this summer. I can’t wait to taste it! A challenge facing biodynamic producers will be new European Union regulations limiting and eventually banning the use of copper sulfate (also known as the “Bordeaux mixture”) as a treatment against Downy mildew. Particularly in regions with moister climates, such as Champagne and Bordeaux, Downy mildew can devastate vineyard production if not controlled. Copper sulfate is currently the only approved organic treatment for Downy mildew. But it’s a hazard for vineyard workers and surrounding communities and impacts terrestrial, aquatic, and soil ecosystems. 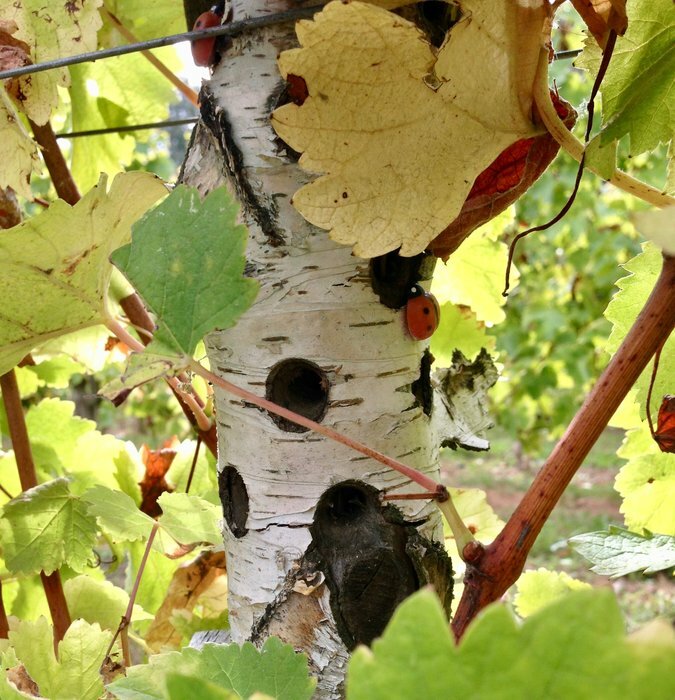 Of particular concern, copper does not biodegrade and can accumulate to toxic levels in vineyard soils and the surrounding environment over time. Without this important treatment against Downy mildew, growers will need to find alternatives and may face significant yield and quality impacts in the future. The #Winophiles group of writers and bloggers dig into biodynamics and French wine– what it is, how it works, how biodynamic wines taste and more– on a Twitter chat January 19th at 11am ET and 17:00 in France. You can find us there via the hashtag #Winophiles. Please enjoy more articles from our group below. I love the name of the winery — and a fun title for your post as well! Great in-depth reporting on the topic and the winemaker. Many people don’t realize how much chemistry is involved in being a hairdresser — and I bet that training and attention to detail has come in handy as a winemaker! Thanks Gwen! Yes, chemistry, timing and learning about processes that made sense to cultures at one time but were either forgotten or tossed aside in more modern times. The only thing missing from your trip was a yoga class…….so much fun and so interesting. Now wouldn’t that be fun?!? Great post, I felt like I was touring the estate with you! I also got a better understanding of how in-depth being a biodynamic farmer really is. I love that I am learning more an more about the biodynamic process. “The magnetic force of the earth and the cosmic force of the sun are involved. ” It really is all about respect and being in tune with the planet. “She also makes compost, a blend of 40% carbon waste, 40% green waste, and 20% other organic scrap matter. These preparations are stored in non-glazed earthenware pots surrounded in peat to stop the radio-active waves and electric interferences from penetrating the pots.” Storing them to stop radio-active waves and electric interferences. I think we forget how much these things have expanded with the use of cell phones etc. It’s new in the equation of farming. I wonder how much this has been studied? And lastly I am very interested in the whole Copper Sulfate discussion. Protecting the grapes, while being a hazard to workers and the area…doesn’t seem to match with the mission. Are other solutions being developed? As am I Robin! I remember people protesting cell phone use due to radio-active waves years ago outside a food coop and questioning it. Now as you say it’s expanded hugely. As far as Copper Sulfate, unfortunately there is no alternative for it in Organic/Biodynamic viticulture at this time (that either Mark or I are aware of but if anyone knows of something please share!). I’ll be sure to share with you if I hear of anything. I love the title here! How wonderful to get to know her and her process a bit. 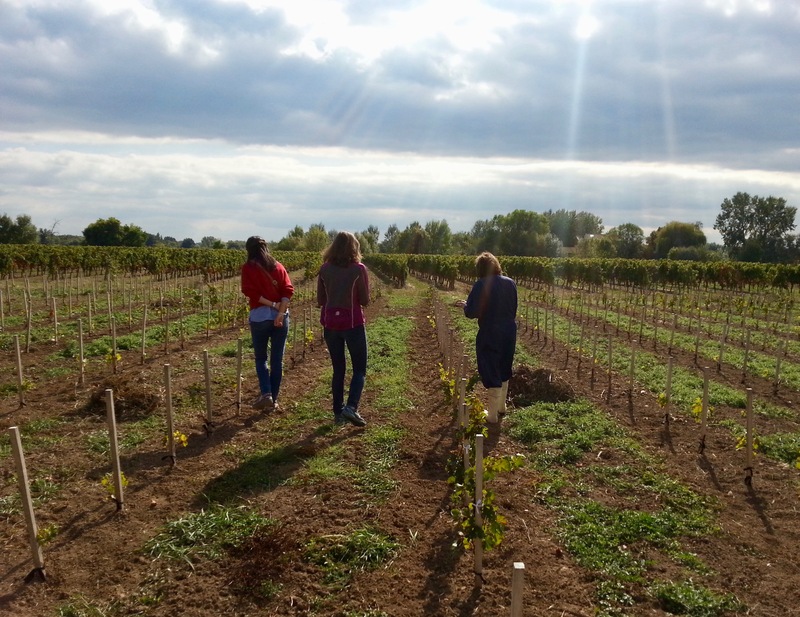 It’s also always so interesting to visit a biodynamic vineyard and to get to see the practices first hand. It’s a very good point you make re. copper at the end as well. Thanks Nicole! The toxicity of copper is real. To date there is not an alternative (that I know of). Well done Lynn! I like how you explain the biodynamic farming in simple words. Can’t wait to try some of her 2019 new creations. It’s interesting to learn of this ‘second act’ vigneronne (former hairdresser!) and see that the practices are possible to embrace and learn. I find biodynamic practices to be quite sensitive yet sensible, but understand how it could be intimidating to have faith. However, every vigneron I know admits that even the most aggressive styles of growing can’t control Mother Nature—if it were me I would prefer to work with her rather than against her, and biodynamics provide a path to that partnership. Thanks for sharing this story! Just about every grower I chat with who incorporates biodynamic principles has her/his own special way of working with Mother Nature, using various principles to coax the vines. Completely agree with you Jill, better to work with than against. Hah – what a great post! When I explain to newbies what biodynamic winemaking entails they literally look at me as if I must be making this stuff up ;P So good to see you over the weekend! I need to come and visit you in Bordeaux next!